In 1965-66, between 500,000 and 1 million Indonesians were slaughtered in one of the most horrific state-sponsored acts of modern times. 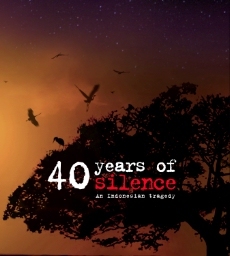 Long denied by the Indonesian government, the little-known massacre is the subject of a chilling documentary film produced and directed by Robert Lemelson, a research anthropologist at the Semel Institute for Neuroscience and Human Behavior. What was the impetus for your film? I was doing work in Indonesia with about 100 patients who had suffered a psychotic breakdown when I realized that the origins of some of their problems were in the events of 1965. I was in Indonesia in 1996-97 as a Fulbright scholar, a time when discussing, exploring, doing research on '65 was next to impossible. In fact, before [the late Indonesian President] Suharto fell from power in 1998, no one wanted to talk about '65. They were frightened and had good reasons to be. One of the survivors shown in my film, for example, had never mentioned to anybody that his father had been killed in front of him, that members of his family were taken away and that other members of his village had participated in the killings. Do you find Indonesia appealing as an anthropologist? It's one of the more culturally fascinating and diverse places in the world. My work is in cultural and trans-cultural psychiatry, and you need to pick a part of the world in which there's a large ethnographic corpus of the complicated relationships between culture and mental illness. My original project was looking at issues of outcome and recovery from severe mental illness, following the World Health Organization's studies that people in the developing world have better recovery outcomes: If you develop schizophrenia in Bali, India or Nigeria, you're more likely to return home and to work and have fewer hospitalizations. What were the reasons for 1965? In the early to mid-1960s, the economic policies of Indonesia's first president, Sukarno, were pretty disastrous and there was tremendous poverty, destitution and suffering. The Indonesian Communist Party (PKI), which was the third-largest communist party in the world, was very popular. The Vietnam War was ratcheting up and many people in Indonesia and in the West were very frightened of the PKI. On September 30, 1965, there was a coup attempt that was subsequently blamed entirely on the PKI. Six generals and a colonel were either killed or kidnapped and later executed. It was a very incompetent coup and it was rapidly suppressed. General Suharto took control of the military and used the coup — in the words of University of British Columbia historian John Russo, who's in the film — as a pretext for mass murder. As an anthropologist, why do you think people commit genocide? Is it people who commit genocide? Or actors on various levels? It's a very complex array of forces ranging from human nature to political economy to power grabs. But if you look at Rwanda, Cambodia and Bosnia, would the genocides there have occurred without political leaders? Why is there such silence about the Indonesian genocide? The silence was imposed from above. It was too dangerous for people to speak about the killings. Is there something in your own background that got you interested in genocide? Being Jewish and being aware of the Holocaust from a very young age were factors. I also did my first fieldwork in 1983-84 with survivors of the genocide in Cambodia, a very traumatized population. There, it was the communists who did the killing. Is there another side to 1965 that deserves mention? One of the theories about '65 is that it was a spontaneous uprising against the PKI. But as the film discusses, the generals were killed in October and the killings, in Bali, for example, didn't start in any large sense until mid-December, with the arrival of Suharto's paramilitary troops. The violence then spread. So these were killings that were driven — they weren't some sort of 'national force' within a society. How has the Indonesian government reacted to your film? They haven't because I haven't released it in Indonesia yet. But a reaction is certainly a concern of mine because '65 is such a sensitive issue in Indonesia. There are many forces in Indonesia who either do not want the story to be told or have been so convinced by the monolithic state narrative in a propaganda film that until lately was shown every year. The nation would shut down and would have to watch this film and remember the fallen generals. So there was one story about what happened in '65, and any dissenting or conflicting stories were rapidly, often brutally, suppressed. Has that stopped after the Suharto era? Not entirely. In 2001, the government rewrote some of the high school textbooks to include a more nuanced picture of what happened in '65. In 2007, there were mass book burnings in Java of these textbooks. People felt they wanted to return to the Suharto-era version of history. Some historians believe violence in Indonesia can be quite cyclical in nature. So the fear that violence and repression will return is a real one. Why do you think it's important to for 'truth and reconciliation' in such matters? The best answer to that came from the philosopher George Santayana: "Those who cannot remember the past are condemned to repeat it."